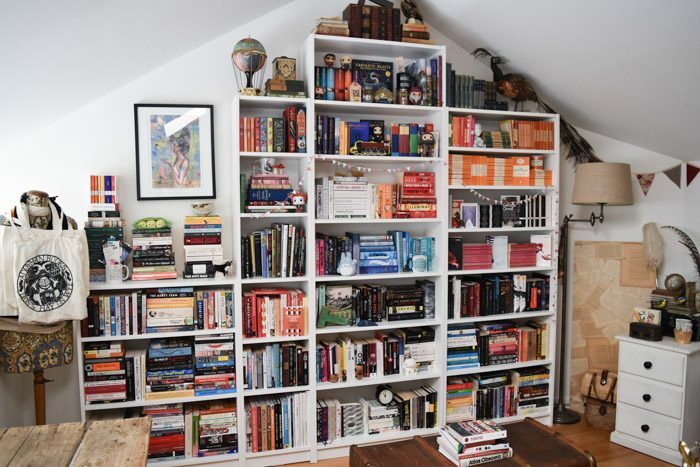 As an avid reader and all-round book lover, my bookshelves are an important part of my home. They are also a way a express my personality and showcase my favourite books. But most of all, my bookshelves have to have a system of organisation so that I can find things. I use a mixture of all these different systems on my shelves, and I think it’s completely fine to experiment with different arrangements. You can see my current shelves in this video. If you watch closely you’ll see the separation of read and unread books, unread books organised alphabetically by author surname, read books grouped by genre, edition, and even some organised by colour! To show just how many different ways you can arrange the same books, depending on available space, here is another bookshelf tour. This one is from 2017, and the house I was living in had a fireplace that I used to display some of my books. In this video you’ll notice that almost all the books are organised by colour, but I couldn’t resist a few sections organised by edition. And as always the read and unread books are strictly separated. Last but not least, back in 2016 I created a bookshelf tour video that highlights all of my favourite styling tips. This video really showcases how my style has both changed and remained the same. There is also a small blog post which shows close up images of some of the shelves. 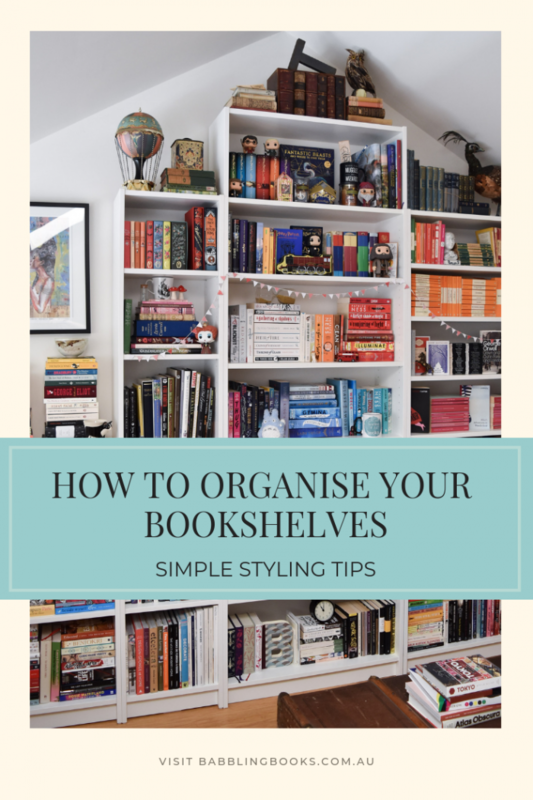 All these videos should be helpful in guiding you on how to organise your bookshelves, but if you have any questions or challenges just leave a comment below! Keep up to date with my videos by subscribing to my YouTube channel. Need something else to watch? Check out my Creative Journal video.